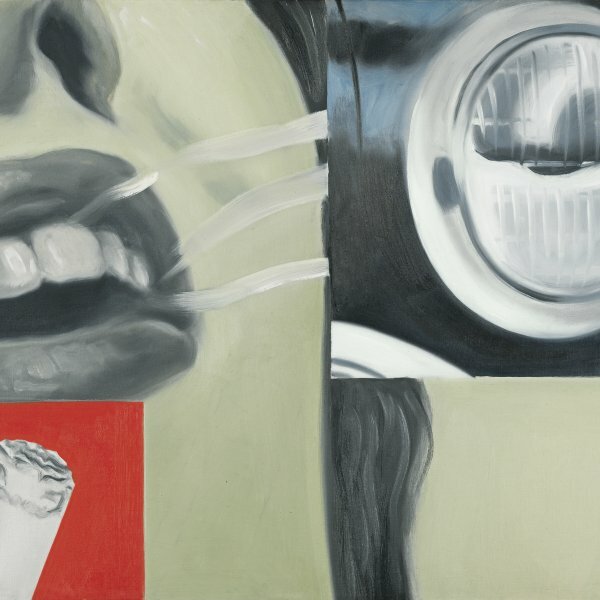 James Rosenquist is a prominent representative of the American Pop movement. His work as a poster painter while a student at the Minneapolis Institute of Arts familiarised him with advertising techniques and marked his later style of painting. Rosenquist moved to New York in 1955 to study at the Art Students League and the following year began to work as a commercial painter on Broadway, as he had done in Minneapolis. In 1960 he rented a small studio in Manhattan, where artists such as Ellsworth Kelly and Robert Indiana also worked. The Green Gallery in New York held his first one-man show in 1962 and from then onwards his works were included in the group exhibitions that progressively shaped the phenomenon of Pop Art. As well as devoting himself to painting, from the 1960s Rosenquist experimented with sculpture and assemblage. He was also interested in lithography as an ideal means of disseminating his pictorial ideas and produced some of the largest works ever created in this medium. In 1965 one of Rosenquist’s paintings, the colossal F-111 (1964–65, New York, The Museum of Modern Art), attracted the attention of international critics. In this as in many other works, Rosenquist delved into a field as yet unexplored by many contemporary Pop artists: political and social themes. By means of an apparently irrational juxtaposition of images from mass culture, Rosenquist seemed to borrow elements from Surrealism to show his critical and ironic view of the world around him. Using an impersonal technique — a legacy of his years as a poster painter — he produced images that were fragmented and dissected from such a close viewpoint that they seemed to be painted using a magnifying glass. Once again, Rosenquist distanced himself from artists like Warhol and Lichtenstein, whose approach to objects was more direct and immediate, in order to show through a combination of images his personal vision of the consumer society that emerged in the 1960s.